Our East San Jose optometrists take the time to explain the results of your eye exam, describe your options and listen to your eye care needs. Because maintaining good eye health is an ongoing partnership, we encourage you to ask questions and share your health information, which could be vital to monitoring, diagnosing and treating potential vision problems. Dr. Jung is a third generation Californian. She completed her optometry pre-requisite courses at UC Davis. She graduated from Pacific University in Oregon with a bachelors degree in Visual Science. She received her doctorate degree in Optometry from Pacific University College of Optometry in 1981. Upon graduation, Dr. Jung returned to the Bay Area and established her practice in 1984. Her special interests are children's vision, contact lenses, and laser vision correction. She is California optometric board certified and licensed to diagnose and treat eye diseases including Glaucoma. 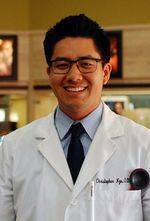 Dr. Jung is a member of the American Optometric Association. Dr. Jung and her husband, Gary, live in Milpitas. She has two grown children Jeffrey and Janna. During her free time, Dr. Jung enjoys skiing, reading and spending time in Lake Tahoe with her family and her sheltie, Misty. 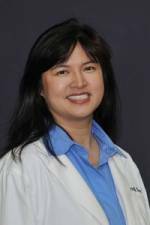 Dr. Patricia Hom grew up in Silicon Valley, graduating from Monta Vista High school in Cupertino. She received her undergraduate degree in Economics from UCLA. She then completed her doctorate at the University of California Berkeley, School of Optometry in 1997. Afterwards, Dr. Hom trained at a residency with the Palo Alto Veteran's Administration in Primary Care and Low Vision. This began her love of Low Vision, the specialty of helping recapture functional vision with magnifiers and telescopes for individuals with vision loss from eye diseases such as diabetes, macular degeneration and glaucoma. From 1998 to 2001, Dr. Hom served on the Board of Directors for the Santa Clara County Optometric Society (SCCOS). She was honored as the SCCOS Young Optometrist of the Year in 2002. She was a member of the Health Advisory Committee for the Berkeley YMCA Headstart program. Dr.Hom was a member of the Ocular Surface Disease Society of Optometrists and is trained in the treatment of Dry Eye and associated conditions. And, in the past, Dr. Hom and her husband traveled to Nicaragua to serve as Medical Missionaries with Medical Wings International, a group of health care professionals associated with the United Nations. Dr. Hom and her husband currently live in the Tri-Cities area with their young son. 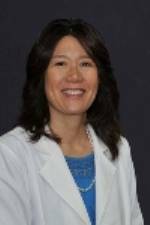 In her spare time, Dr. Hom enjoys cooking new recipes, reading biographies, singing when allowed and hiking the East Bay Parks. Dr. Ngo was born and raised in San Jose, California. He received his undergraduate degree in Neurobiology, Physiology, and Behavior from the University of California, Davis. Dr. Ngo then went on to receive his Doctor of Optometry degree from the Southern California College of Optometry, where he graduated with honors and with recognition from Beta Sigma Kappa International Honor Society. He completed his clinical training at the National Navy Medical Center in Bethesda, Maryland, at the Kayenta Indian Health Services, Arizona, and at the Veteran Affairs Hospital in Las Vegas, Nevada. Dr. Ngo also volunteered his services to VOSH in providing care to underserved communities in El Salvador. Outside of the office, Dr. Ngo enjoys rooting for bay area sports teams, spending time outdoors, and learning to golf. 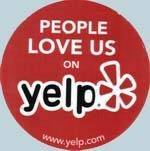 East Hills Vision Care Located at 1080 S White Rd, San Jose, 95127, CA,.